Sakai Guides and DocumentationSakai Complete User Guide EmailHow to I set the Email tool options for my site? Select the Email tool from the Tool Menu of your site. Zoom: Select the default settings. Choose the desired default settings by selecting the check boxes or radio buttons next to the options you want. 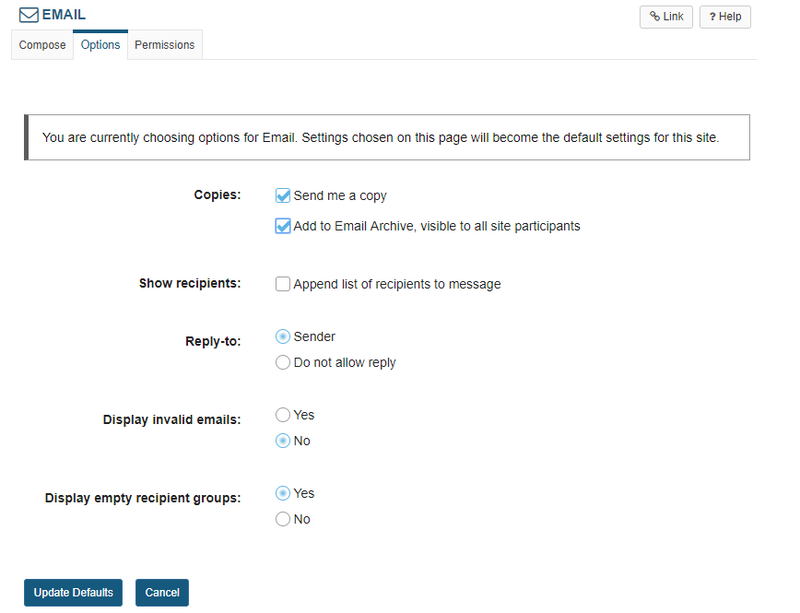 These settings will become the default Email tool setting for the entire site. Prev: How do I send an Email message? Next: How do I change the Email tool permissions?